Welcome to our store. Here you will be able to find many clocks to tickle your fancy or that of someone you love. These clocks make great gifts and personal treasures. Each clock we make is unique and made special for you. We have a large variety here, and an even greater possibility out there. $4 off every clock with Your Image. That is a steal at only $35.95 per amazing one-of-a-kind clock! Get your good luck charm image on a clock to keep all of your time it's best. NEW to OUR site! Gimpy's Secret. It's what's missing! 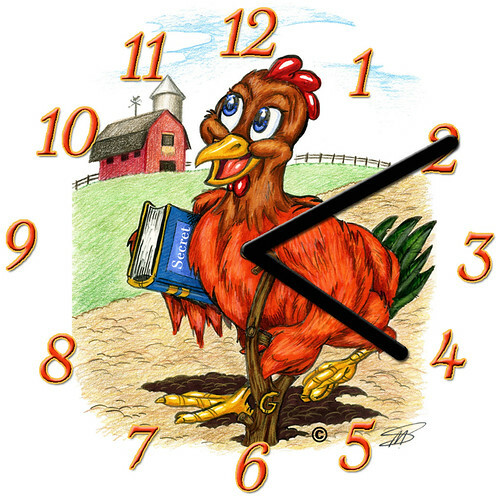 E.H. McLellan has given us exclusive rights to sell clocks with this adorable little fellow on the face. For a limited time, we will be able to get you one of these very fetching clocks for only $20. Click here to order. Our favorites are, of course, the super personal, one-of-a-kind types, like this beautiful little cherub. He was made for an Anniversary gift to his Mommy from his Daddy. This clock will keep them smiling for years to come. Smiles and warm hearts are guaranteed from treasures like these. getting a larger variety of clock styles and adding other products. 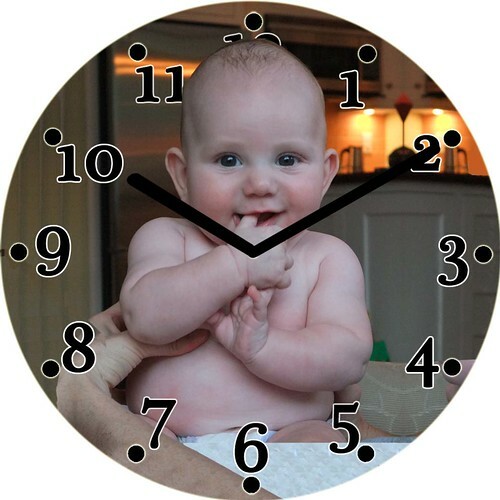 Our clocks are normally $39.95 for the One-of-a-Kind sorts, and $29.95 for Ready Made images. Shipping within the United States is FREE for Priority Mail in the United States. Black White Matte Silver Red. If you'd prefer, you can select Artist Choice under them Frame Color menu and we can decide for you.